Axia and NSEGTA win yet another award! 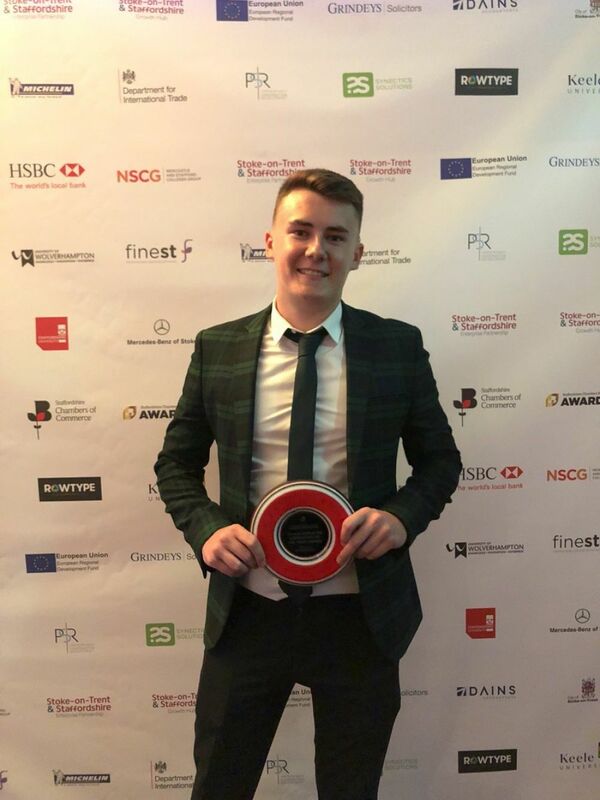 The award winning apprentice, Reece Poole (Above) is currently finishing his Engineering Level 3 with NSEGTA, one of our fantastic business partners, who are currently having lots of success in training a new generation of Engineers to boost our economy in this year, the year of Engineering. His placement is with entertainment giants Merlin Magic Making, at Alton Towers Resort. The work Reece produces contributes to Merlin Entertainment's Groups' visitor attractions worldwide. A recent project for Reece was to produce and fit the themeing for Alton Towers' Wickerman Retail shop. As well as producing cheap themeing alternatives for a stock supply issue, Reece even decided to use left over off cuts of wood that was used to build the Wickerman ride to produce merchandise which included picture frames, souvenir blocks and 2 of 3 coasters with all artwork being designed by him. This merchandise turned into best sellers. This is just one of the extraordinary things about Reece, and we are privileged to work with him, and with NSEGTA who are giving him the tools to flourish into a creative Engineering Technician. One Alton Towers Retail Manager has described Reece as, "One hundred percent focused on a project from start to finish with a positive frame of mind and a can do attitude to face all challenges head on."